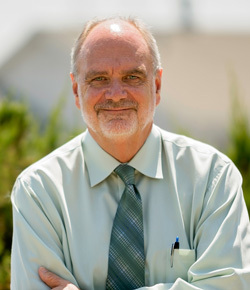 James Byerrum is the President of California Domestic Water Company located in the City of Whittier. James has worked for California Domestic Water Company for over 30 years, serving as its President for the last 20 years. Prior to working for California Domestic Water Company, James was employed by the City of La Habra Water Department. He has served on CalMutuals Board of Directors since 2014, serving as Chair and President from 2014-2016. James is also active in the Main San Gabriel Basin, serving as chairman of Watermaster for the last six years, and on the Board of Directors of the San Gabriel Valley Water Association for 20 years.